And The Winner is… Team Sean! Just a quick post for now – more will follow later this week hopefully! I was allocated to ‘Team Sean‘ at Crew Allocation on Saturday at the Guildhall in Portsmouth, with Sean McCarter as my Skipper. 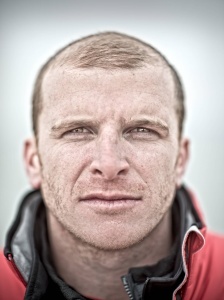 I have had the pleasure of sailing with Sean during my Level 2 training, so he knows how I like my tea already… bonus! Team Sean doesn’t have a boat sponsor announced yet, however as the names were read out in the Guildhall, and we gathered together as a crew for the afternoon, it was blindingly obvious that if you were born on the Island of Ireland, lived there, had taken the ferry across the Irish sea at any point or had an Irish Setter, then you were on Team Sean. Oh, and Sean is Irish too. I don’t think you would need to be a rocket scientist to work out that Team Sean is likely to have an Irish sponsor. The team has already been receiving messages of support, most notably from Phil Coulter, the Northern Irish song writer, musician and record producer who wrote Ireland’s Call, heard when the Irish Ruby Football team plays. My very best wishes to Team Sean. You are all either very courageous or slightly mad …….maybe a bit of both. Special mention to your Skipper, who hails from “THE TOWN I LOVE SO WELL”. Sean, they tell me you’re a horse of a man! I hope you all have a great adventure and pray that you return safely,”HOME FROM THE SEA”, when your family and friends will be there to greet you with a chorus of “CONGRATULATIONS”. The reality of what I am going to be doing later this year has really hit home this weekend; September will come around extremely quickly. There is so much to organise and do before the race starts, including preparing the yacht, CV26, that will be home to some of the crew for the 11 months it takes to complete the circumnavigation. I start my Level 3 training next week, which will be done with Sean and some of my fellow crew mates and be a great chance to start to get to know people. Crew allocation took place on Saturday – here is the official crew picture taken. I’m fairly easy to spot, just to the left of Sir Robin Knox-Johnston’s right hand. Hmm… that could be my claim to fame in years to come – you heard it here first! 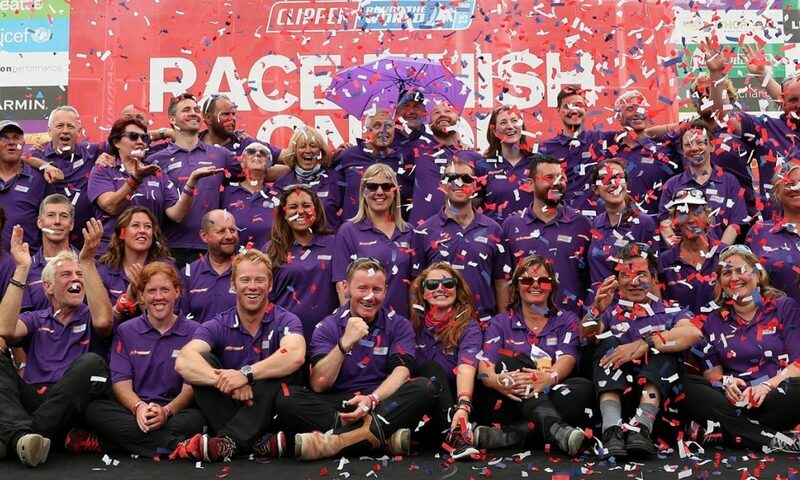 Clipper Race – International Crew Gather In The UK As Teams Are Unveiled For Clipper Race.